Don’t know what happened but good luck on your future endeavors. 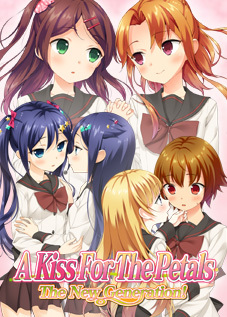 Don’t know if you’ll get this but thank you for your work on the Petals series and good luck on your future endeavors. I’d like to say I’m as distraught as you are, with regard to the whole Steam-Maidens saga, but even as a Day 1 SonoHana fan myself it’d be disrespectful for me to ignore what you’ve done as the foremost champion of the franchise in the West. I bought MoM during the summer sale, the Steam debacle among other things dashing my hopes for hardcopy prints, and just read through your related MangaGamer blog posts, where I found your Twitter feed and caught word of this notice. I can only imagine the emotional devastation all this has caused you recently. Things may not have gone according to plan, but your efforts have not gone to waste. 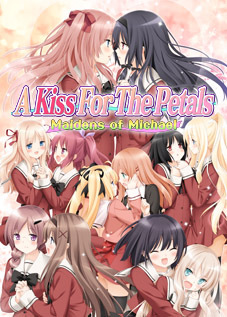 The series’ flagship title, Maidens of Michael, did ultimately manage to see an English release and will remain available indefinitely at its home on MangaGamer’s storefront. 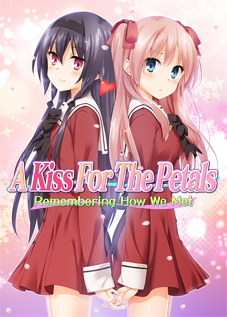 Valve’s treatment of it on Steam is unacceptable and unfortunate, nevermind what it all means for the prospects of officially localizing the remaining SonoHana titles. I don’t know what the sales numbers look like. But ignoring the business side of things, the fact remains that from a fan perspective you managed to accomplish something great, something virtually unimaginable but a few years ago for such a niche product. The game is out there! In English! Officially! That’s what matters, first and foremost. That’s a heartwarming success. To veer somewhat off-track for a moment, honestly I’m more concerned about the hiatus the series has been on in Japan. If SonoHana is to be put to rest, I’d like to at least see Runa-Takako get their final game and, much as I’m a peko purist, the other two New Gen couples get their proper followup to Rinagisa. Much as I am distraught about the localization troubles, I’m even more worried about the series being dead at the source. At any rate, I hope that your “indefinite” doesn’t turn into “forever” and that someday you return to the SonoHana fandom with renewed vigor. Even if this is the end of the line for you, your efforts have certainly made it easier for others to take the torch and continue your legacy, and if SonoHana is done as of today, I’m taking my good memories of it to the grave. Niche as it is, I know I’m not alone in that sentiment. But the best would be seeing the series continue to persist and proliferate, so we can make even more memories. Please come back soon but if not, good luck in your future.